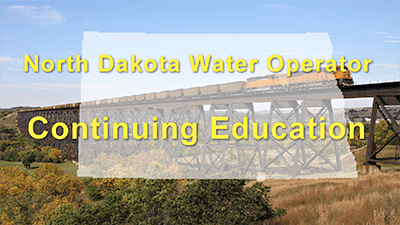 At AYPO Tech, we strive to provide water operators in North Dakota with continuing education courses that are as insightful as they are useful. The following courses cover a variety of topics from corrosion control to storage tanks. In addition, our courses are approved by the state of North Dakota to provide the hours of training a water operator needs in order to be allowed to renew their license. What are the CE requirements for North Dakota water operators? Obtain 12 hours of North Dakota Department of Health recognized continuing education training every 3 years. Pay the appropriate renewal fees for the grade of license held by the first day of July annually. Save on our Complete CE Requirements Package! 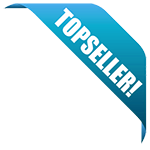 This course will fufill all your requirements to renew. It includes: Surface Water Treatment Plant Operations, Surface Water Issues and Pre-Treatment, Coagulation and Flocculation, Sedimentation and Filtration, Disinfection, Corrosion Control, Advanced Oxidation and UV Disinfection, Membrane Processes, Basic Electrical Concepts, Distribution System Water Quality Issues, Groundwater Wells, Pipelines, Pumps and Moters, Storage Tank Facilities, Water Distribution System Operation Overview, and Meters, Valves and Hydrants. Save on our 8 Hour CE Distribution Package which includes: Basic Electrical Concepts, Distribution System Water Quality Issues, Groundwater Wells, Pipelines, Pumps and Moters, Storage Tank Facilities, Water Distribution System Operation Overview, and Meters, Valves and Hydrants. Save on our 8 Hour CE Treatment Package! This package includes: Surface Water Treatment Plant Operations, Surface Water Issues and PreTreatment, Coagulation and Flocculation, Sedimentation and Filtration, Disinfection, Corrosion Control, Advanced Oxidation and UV Disinfection, Membrane Processes. We will grant eight continuing education credits to operators that complete all eight courses in your water treatment training package and the same for the water distribution training package.